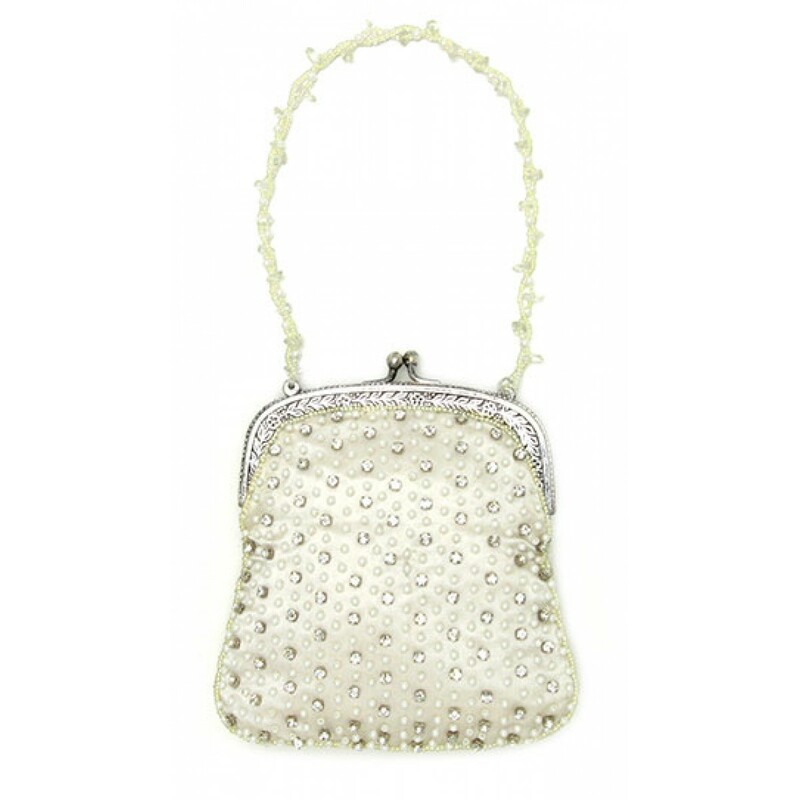 Features: Inside Pocket, with Beaded Rhinestones and PearlsColor Shown: IvorySize: 6" h x 5"wStrap: 14"Color ChartWe can also make almost any of our bags in your preferred color. Please allow 4-6 weeks. ..